← It’s the “Only in New Jersey Kindle Cover” Contest! Yes, folks, today’s the big day. 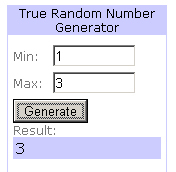 The day I go to Random.org, type in the total number of entries I’ve had for my “Only In New Jersey” Kindle Cover giveaway, hit the ‘generate’ button, and announce the lucky winner! I’m delighted to report this month I’ve had record traffic on my blog. I’ve also had my best month so far, sales-wise, for Last Exit In New Jersey. As my daughter would put it, I’m one happy panda. However…. due to underwhelming interest, I’ve received a total of… brace yourselves… THREE entries. There you have it. Entry number three. Congratulations Lindsay! I’ll be emailing you directly, and thank you all for participating! This entry was posted in Uncategorized and tagged contest. Bookmark the permalink. Yipee! I won – my apologies to the other folks for gloating. It’s so rare to actually win something that I’m making the most of my reveling… Last night I was thinking that with an e-book, there’s no way to get it autographed by the author. Then I realized that my Kindle cover will be an author “autograph” for the whole Kindle! I’m enjoying the book – it’s hard to not read way too late. I’ve discovered another benefit to e-books. When you have a cat in your lap or on your chest, it’s much easier to click the “turn page” button than to actually disturb the cat and turn a paper page. Your cover will be on it’s way to you first thing tomorrow. I needed to get accurate dimensions off my friend’s K3, and she was away for the weekend. I’m glad to hear you’re enjoying your Kindle so much, and I agree, one of my favorite things is being able to read and not disturb the cat (who won’t move either way!) or to be able to hold tea in one hand and the Kindle in the other. The other day I started reading a paper book my husband had finished… and I was going crazy. For one, it was printed in ‘squintovision’ microprint, and my eyes just aren’t that good. And second… page turning! Oh, my Kindle has spoiled me. I finally put his book down and downloaded an ecopy from Amazon. It was worth the 2.99!